I'm popping in with pattern updates for you. I'm currently working through, and revising, all the original Little Bigfoot patterns from 2012. 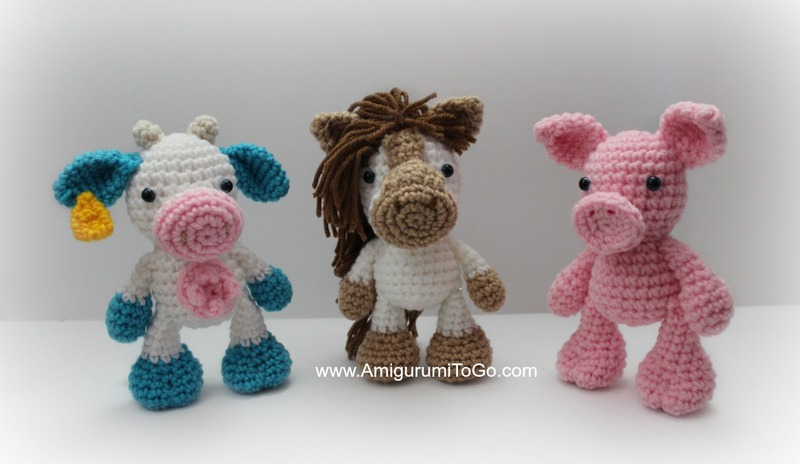 I've also been adding new animals to the series as I do that. I'm going with the inspiration as it hits me and right now the inspiration is flowing. I need to go with that for as long as I feel it. 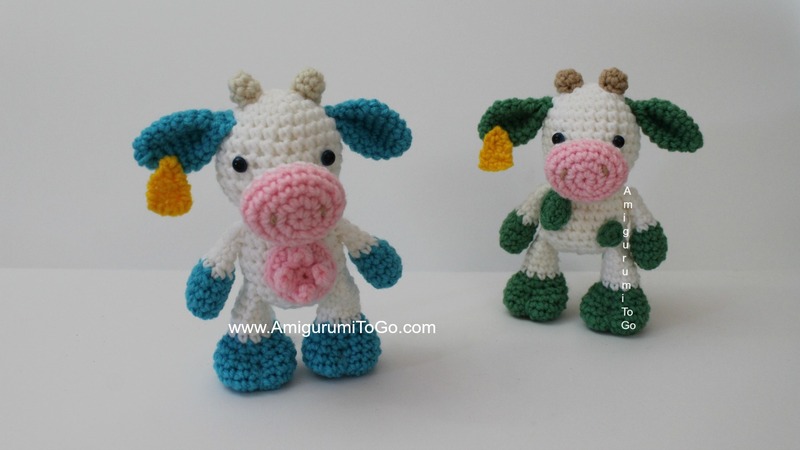 already available to make. The horse is being written up and will be available asap. 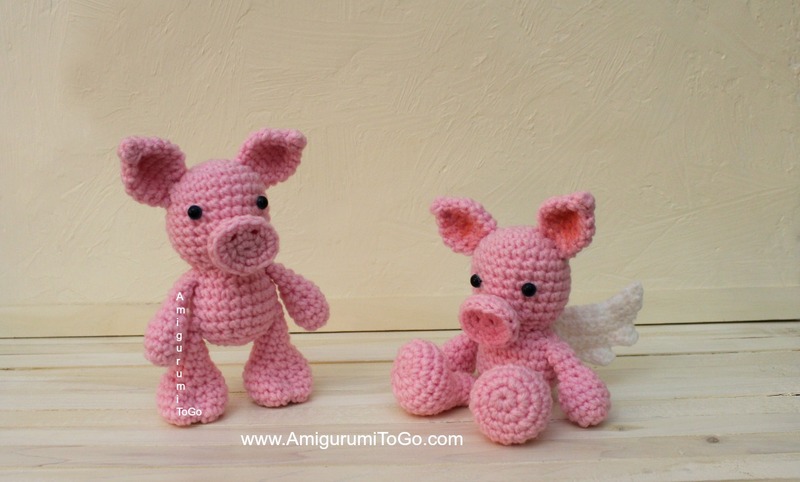 *There are larger pigs and a tiny pig pattern also available. Look in the introduction section of the little piggy for pattern links. There is a larger Hippo available. 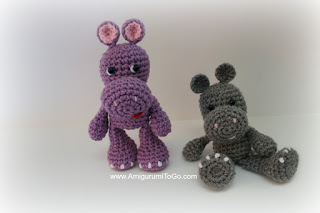 Look in the introduction section of the little hippo for pattern link. *clothing patterns for the smaller animals not available yet. Thanks for stopping by. I hope you enjoy all the animals in this series. Keep checking back, there's lots more on the way. As always, my patterns remain free for all to enjoy. Donations are not required but are greatly appreciated and needed. Every contribution, no matter the size, helps me continue on designing and to share with you all. If you do give a donation, please accept this note as my sincere thanks. Do not reprint patterns you find on Amigurumi To Go. 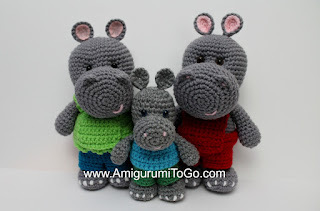 If you'd like to share patterns, please link back to them. You may sell finished products. 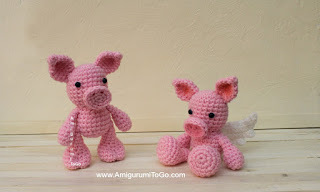 Hi Sharon, Loving the new animals they are so cute. You mentioned a farm theme starting can you think "sheep" for a possible pattern in the future??? I wish I had your talent and mind set to develop patterns. Keep up the great creativity it is awesome to see. I have tried and love several of your patterns but sadly my hands are getting to where it takes me for ever to finish a project because they hurt so bad. Thank you so much for sharing your wonderful ideas and creations! you are such an inspiration. 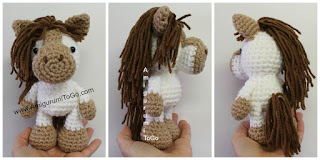 I would like to know how to make a crochet trophy...I am still new to the creation side but would love to see what you come up with...it only need to be 2-4 inches high. Thank you again for being the inspiration you are!